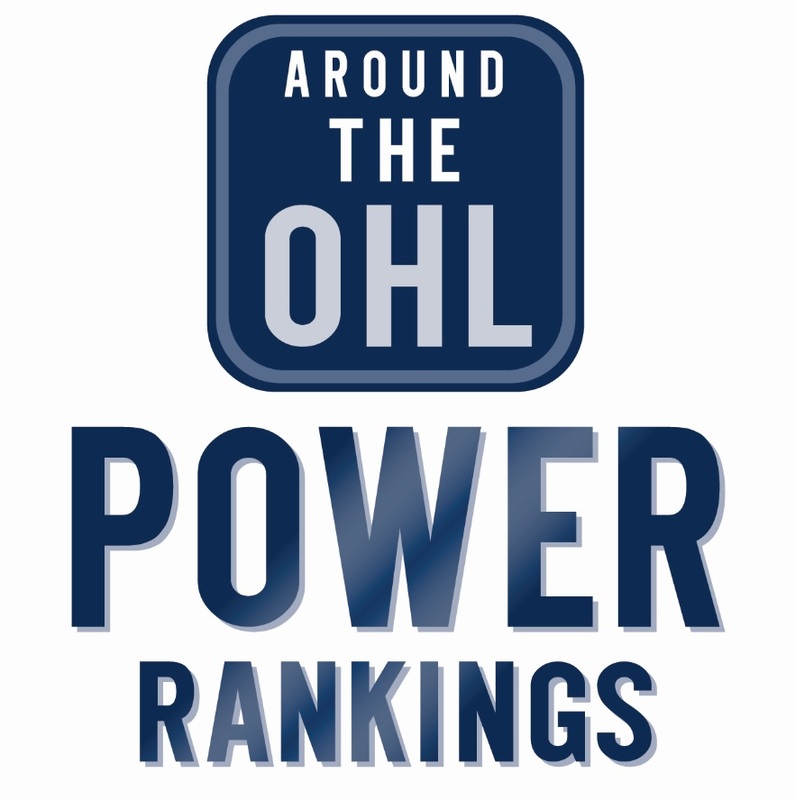 The latest installment of Around the OHL’s Friday Five countdown highlights the biggest acquisitions at the OHL trade deadline, and how they’ve impacted their new teams. Some of these players have provided an offensive boost to their new clubs, while others have be able to contribute in other aspects of the game. NOTE: Some of these trades didn’t happen on the January 10 deadline, some happened days earlier, some a week before. Either way, for the purpose of this list, they are considered “deadline deals”. Cirelli’s offence stayed fairly consistent after being dealt to Erie. He had 13 goals and 34 points in 26 games with Oshawa before the World Juniors, and finished the season with 12 goals and 30 points in 25 games with the Otters. Cirelli impacts the game in so many ways, adding to an already very deep Otters lineup. Oshawa General Manager Roger Hunt said trading Cirelli was one of the toughest things he’s had to do in hockey, parting ways with a player the Generals signed as a free agent invite in 2014. They got a pretty good return for a guy who went undrafted in the OHL, they picked up rookie Allan McShane (a finalist for the OHL Rookie of the Year), as well as five draft picks, three of which are second rounders. Cirelli had four goals and six points during Erie’s first round sweep over Sarnia. No player on this list benefited more from a change a scenery than Maksimov. The Spirit’s second round pick in 2025 has had a tough time finding consistency during his year and a half in Saginaw. That changed when he was traded to Niagara for young Dman Hayden Davis, the IceDogs’ also receive Saginaw’s second round pick in 2019 and third round pick in 2018. Maksimov had 15 goals and 22 points in his 29 games with Niagara, a substantial boost in production for a player who had scored 12 goals in 91 career OHL regular season games. During a three game stretch in March, the draft eligible prospect score eight goals and added an assist. Maksimov also led the IceDogs’ in playoff scoring with four goals in four games. This might have been one of the quietest pickups of the deadline, but James’ impact was felt almost immediately. A player who had 13 goals and 25 points in 36 games, doesn’t exactly jump out at you as a blockbuster deadline deal. But since joining the Attack, James has exploded for 21 goals and 32 points in just 32 games. The most impressive stat from the trade might be Owen Sound’s record of 23-2-1-2 since James joined the hockey club in early January. I’m not saying he’s the only factor in Owen Sound’s incredible second half, but you can’t deny the positive impact James has had with the Attack. Not bad considering Owen Sound game up just a fourth round pick in 2018. Erie acquired Warren Foegle for several reasons. The overage forward is no slouch offensively, finishing the season with 27 goals and 63 points in 61 games split between Kingston and Erie, scoring 16 goals since joining the Otters in January. But Foegle’s biggest asset, is likely in the faceoff circle. He won 529 of 880 faceoffs this season, good for 60.1%, that’s the third highest percentage by any player who took more than 800 faceoffs. Pair this with Kyle Petit’s 59.3% and Anthony Cirelli’s 57.3%, the Otters are the top faceoff team in the league. Technically, he was acquired a week before the deadline on January 2nd, but that is close enough to the deadline for me. Korostelev started the campaign as one of the hottest scorers in the entire OHL with 11 goals in his first nine games. The Sting’s first round pick in 2013 struggled a bit after that, scoring just twice in his final 14 games with Sarnia before being traded. The move helped him regain confidence, as he found the back of the net in 10 of his first 14 games in Peterborough. He finished as the Petes’ leading scorer with 29 goals and 64 points, he was also a nominee for the OHL’s most sportsmanlike player. The Toronto Maple Leafs prospect had a goal and three assists in Peterborough’s first round sweep over Niagara, helping the Petes advance past the first round for just the second time in ten seasons. Much like Foegle, Korostelev was acquired prior to the deadline. Cascagnette has found a key role with the Mississauga Steelheads, and he’s proven to be one of the better pickups of the trade deadline. The two way forward, who’s known more for his physicality and defensive play, was able to find his scoring touch with the Steelheads, helping him reach career highs this season. He had six goals and 13 points in 35 games with the Rangers, in fact he had only scored 12 goals in 140 regular season games with Kitchener. In just 28 games since joining Mississauga, the Kitchener native scored 13 goals and totalled 18 points. The Steelheads only gave up a third round pick in 2020, and a conditional fourth round pick in 2020. Bracco’s 32 points in 30 games with the Spitfires seem like pretty good totals, but it’s a far cry from his 51 points in 27 games during the first half of the season with the Kitchener Rangers. For me, that is the main reason Bracco doesn’t make it into the top five, his offensive production has been nearly cut in half since the deadline deal. Bracco has still enjoyed a good year personally, playing for the USA at the World Junior Hockey Championship, and signing an Entry Level Contract with the Toronto Maple Leafs. Still, with just two assists so far in four playoff games, it simply isn’t enough production from a guy with that came with such a high of price tag. The Spits’ gave up, Andrew Burns, Cole Carter and three second round picks (2023, 2024 and a condition pick in 2025). However, all might be forgotten if Bracco can help the Spits upset their London rivals in the first round. Bracco’s biggest stage to date will be at the Memorial Cup in late May as he’ll be relied on heavily as Windsor looks to be the first hometown champs since Shawinigan won on home ice in 2012. Fittingly, the last OHL team to win the Memorial Cup on home ice is the team Windsor is facing in the first round, the London Knights in 2005.